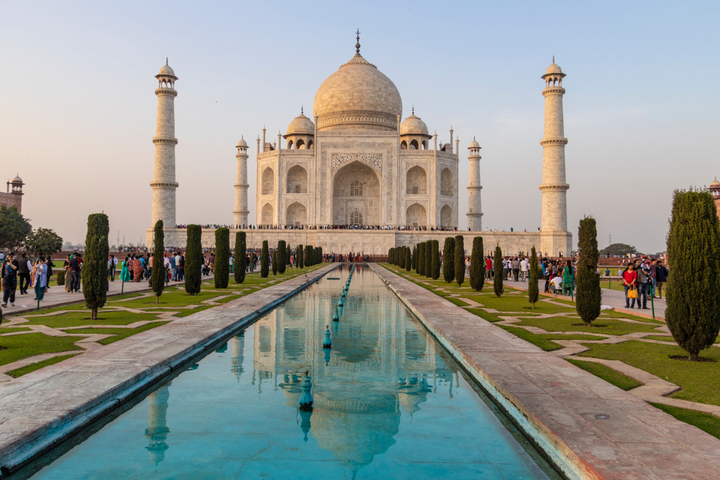 India - It’s impossible to resist the thrum of life in the cosmopolitan cities of Delhi and Mumbai, which blend traditional culture with a western lifestyle, but even more rewarding is a journey beyond their heaving streets. Roll through the countryside on a luxurious train or cruise famed waterways, stopping to visit traditional villages by the Ganges in the northeast and meeting fishermen on the picturesque backwaters of Kerala in the south. For culture seekers there are innumerable forts, palaces, mosques and bazaars to set foot in, and those searching for spirituality should head for the monasteries high in the Himalayas. Land and water-based safaris abound, inviting you to spot big cats and even dolphins as you get close to nature. When it’s time to relax, hammocks sway between palms on the beaches of Goa. Maldives - Luxury abounds in the Maldives, and hotels and resorts with impeccable service and beautiful design blend harmoniously with the delicate islands. 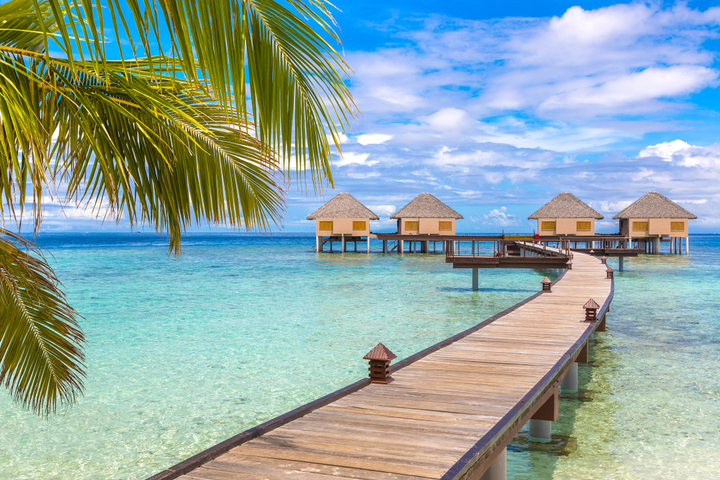 Incredible snorkelling and diving sites boasting more than 2000 species of fish flourish just metres from overwater bungalows. Afternoons can be whiled away in lagoons or by indulging in romantic afternoon picnics on sandy islands, with only sea birds for company. When it’s time for a change of pace there’s traditional music and dance to enjoy and stone carving and intricate handicrafts to see. Take to the capital Malé by boat, where the National Museum, as well as colourful mosques and the Medhu Ziyaaraiy shrine, are worthy of a visit and learn about the nearby human-made Hulhumale Island, which was officially settled in 2004. Sri Lanka - In the centre of the island sits Kandy, the celebrated city that houses sacred Buddhist sites and vibrant festivals to worship them. From here one of the world’s most stunning train journeys chugs through the countryside to Ella, whisking travellers into lush valleys and the tea plantations for which the country is famous. 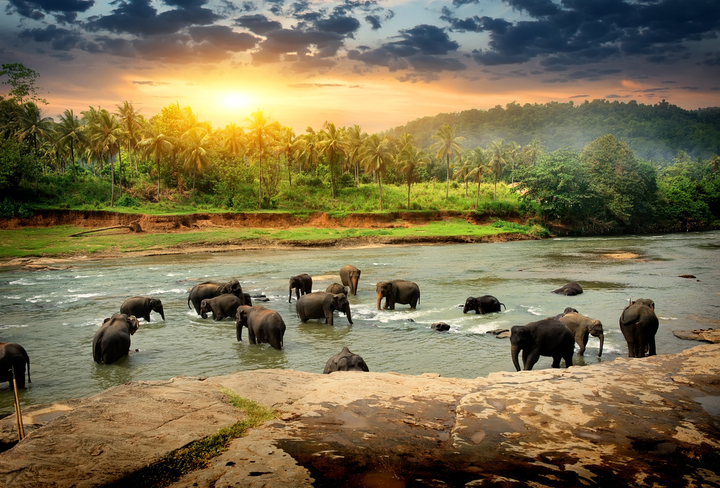 For nature lovers, a trip to Sri Lanka wouldn’t be complete without witnessing some of its unique biodiversity. Spot leopards, sloth bears and monkeys on safari and learn all about elephants on a trip to the Pinnawala Elephant Orphanage.